Posted byYour Humble Blogger	 January 2, 2019 January 26, 2019 Leave a comment on Mr. Rogers consoles the country in Won’t You Be My Neighbor? It’s a sad state of affairs when a documentary about one of the most simply good people to have ever lived must dedicate screentime to Trump, Brexit, and Fox News, but such is the world that conservatives have made. 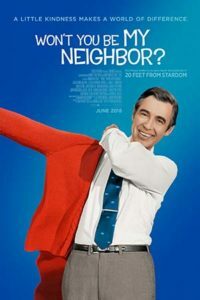 Even if no mention had been made of current affairs, Won’t You Be My Neighbor would have been a political statement. Much is said of Fred Rogers’ values as a Christian and lifelong Republican, but how many of today’s Christians and Republicans would recognize him? Rogers’ famous message in times of crisis was to “look for the helpers”, but as noted by Jason Kottke and Ian Bogost (https://kottke.org/18/10/mister-rogers-look-for-the-helpers-was-not-meant-for-adults), this was intended to console children. After 9/11, he also had a call to action for adults: our duty is to be tikkun olam, “repairers of creation”.